The remains of this small industrial complex stand on the edge of marshland about 400m NE of Foreland House. The L-shaped layout consists of drying-shed, engine-house and kiln, and there are traces of clay-pits nearby. The foundations and upstanding masonry piers are all that now survive of the former drying-shed. It measures 30.6m in length from N to S by 8.3m in overall width. The piers, which divide its length into ten bays, stand to a height of about 3m and are battered externally. The engine-house is a roofless shell about 10m square, at the centre of which are the remains of a cylindrical clay-mixing machine of cast iron. This measures about 0.8m in diameter and was formerly horse-driven by an overhead shaft from an internal horse-gang. The ruinous kiln, which forms the west limb of the layout, is of a two-aisled updraught type, measuring just over 14m from N to S by 9.7m transversely and incorporating vaulted and buttressed side-aisles about 3m in width. This is almost certainly the plant that was described in 1843 as having lately been erected for making drain-tiles. 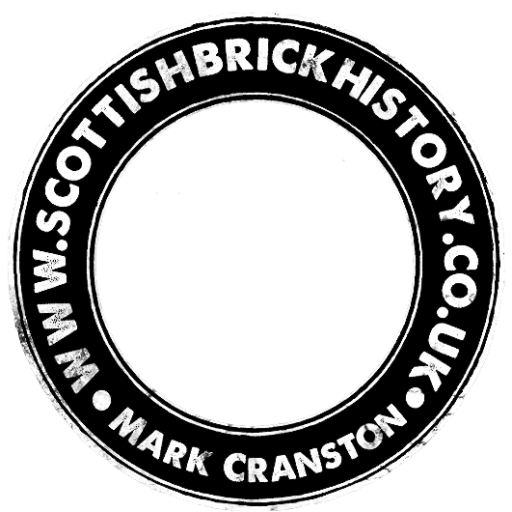 10/12/1847 – Montrose, Arbroath and Brechin Review – Scots Bankrupts – Walter Frederick Campbell Esq, Islay tile and brick maker. 08/09/1848 – Glasgow Herald – A Public sale in Edinburgh of the very extensive and valuable Barony and Estate of Islay…….there is a brick and tile work on the estate, in full operation which affords important aid in the drainage and other works of improvement in progress. 21/02/1853 – Caledonian Mercury – States of affairs of Walter F Campbell, Esq of Islay, ship owner and manufacturer of tiles and bricks in the Island of Islay and sheriffdom of Argyll and coalmaster at Woodhall in Lanarkshire lie with James Brown, Accountant, Edinburgh. 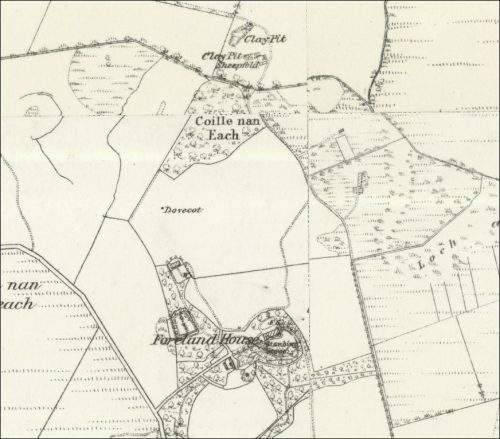 Below – 1878 – OS Map showing the likely position of the former Foreland or Islay Brick and Tile Works as referenced by the Clay Pits to the North of Foreland House. Next Article Robert McAlpine - history of brickmaking.